Listed Below are Books, DVDs, Podcasts and Magazines that I recommend that are related to Raw Foods and the Raw Food lifestyle and sustainable living. Rainbow Green Live-Food Cuisine is the most practical solution to these critical personal and planetary issues. This holistic approach to Conscious eating includes nearly 400 of the most creative raw-food recipes around and essential information on food preparation. Special sections take the theme further: “Healthy Traveling in the Raw” with extensive advice on eliminating the stress of jet flight, and “Raising Rainbow Babies” with the first information ever published on month-by-month raw-food nutrition for infants. This compelling synthesis of research and innovative dietary strategies charts new territory based on an age-old theme: Eat as nature intended. The book is written by a spiritual teacher who is coming from direct experience. He is not coming from theory, but from the truth of his own life and light. Spiritual Nutrition: Six Foundations for Spiritual Life and the Awakening of Kundalini creates the conditions for experiencing the divine bliss which is the primary motivation for liberation as it achieves the urge to live in an unending divine kiss. Spiritual Nutrition: Six Foundations for Spiritual Life and the Awakening of Kundalini gives you both the technology and the inspiration to do this. Conscious Eating has been referred to as the ‘Bible of Vegetarianism’ for both beginners and advanced students of health. In addition to the classic information that made the previous editions well-loved, in this newly revised edition, Dr. Cousens introduces breakthrough research and important practical ways to successfully individualize your live-food diet for optimal health and vitality. He also discusses new topics such as healing the ‘addictive brain’, freedom from depression, and vegetarian nutrition for pregnancy. Evies Kitchen is a must read for any mums wanting some great Raw recipes for their Kids. I loved this book – it contains so many tools when dealing with Raw emotions. Green for life approaches human nutrition from a new angle, comparing the human diet with the diet of chimpanzees. This book is written in a clear style, illustrated with anecdotes, diagrams and pictures. The results of the Roseburg study conducted by Victoria and Dr Fieber, reveal the unique healing potential of green smoothies. This book is scheduled to come out during the last week of October 2005. We recommend pre-ordering this book early to avoid waiting. Your orders will be processed in the order they were received. The inspiring true story of a family who, through necessity, found themselves on the raw/live food path. The final straw for Victoria was when she was told that her son, diagnosed with Juvenile Diabetes, would have to be injected with insulin for the rest of his life and that there was no cure. Through her despair, Victoria reasoned that there must be another way; another answer for her son and family. One day she saw a very radiant and happy looking woman in the bank and again asked the question. The answer: “Eat raw food! Superfoods are vibrant, nutritionally dense foods that have recently become widely available and which offer tremendous dietary and healing potential. David Wolfe profiles delicious and incredibly nutritious plant products such as goji berries, hempseed, cacao beans (raw chocolate), maca, spirulina, bee products, and a host of others. As powerful sources of clean protein, vitamins, minerals, enzymes, antioxidants, good fats and oils, essential fatty and amino acids, and other nutrients, they represent a uniquely promising piece of the nutritional puzzle. Each superfood is described in detail, accompanied by easy and delicious recipes. You can have your cake and eat it too with Ani Phyo’s innovative, delicious desserts. From cobblers to cookies, pies to cupcakes, Chef Ani’s easy-to-make sweets are wheat-free, gluten-free, dairy-free, processed sugar-free, and cruelty-free. Deceptively simple, these treats pack loads of flavor and nutrition in every bite. Substituting these mouthwatering desserts for traditional baked ones will give your body much-needed nutrients while sacrificing none of the flavor. With lists of essential tools, key ingredients (including “superfoods” that enhance flavor and nutrition), full-color photos, and gorgeous design, Ani’s Raw Food Desserts proves you don’t have to sacrifice taste or style to reap the benefits of raw foods. Sweet Gratitude is a cookbook with a message: raw desserts aren’t only healthier for both people and the planet, they can also be every bit as incredibly delicious as their mainstream counterparts. Based on the desserts served at San Francisco’s Cafe Gratitude restaurant, these desserts are off the charts – my favorites. Raw Family – Victoria Boutenko – fantastic information on green smoothies. RAWKIN Radio with Revvell Revati * I HIGHLY RECOMMEND LISTENING TO THESE! REVVELLATIONS ~ Celebrating Your Potential. Revvell Revati will introduce you to many ideas and ways of being often not generally known and/or accepted by the mainstream. It is about living in freedom; choosing to be happy and joy-filled and possibly sharing new ideas not often encountered in our day-to-day lives. I will be interviewing authors and speakers on various topics and raw foodists on what that means to them. One thing I do with each person is find out where they came from; how did they get to where they are? Were they supported on their journey? What was their childhood like? These and other things will be asked to assist listeners in finding their potential. As I have done these interviews over the last months I have gotten emails from people telling me that because of one thing someone said, they have changed their lives and even created new livelihoods. It is amazing what will touch and inspire someone. Angela and Matt Monach have a great TV show they put together on U-Tube! Their energy is amazing and full of tips and advice on raw food! We have discovered so many amazing documentaries and movies on the Raw Food and Sustainable lifestyle! Filmmaker Robert Kenner lifts the veil on our nation’s food industry, exposing the highly mechanized underbelly that has been hidden from the American consumer with the consent of our government’s regulatory agencies, USDA and FDA. Our nation’s food supply is now controlled by a handful of corporations that often put profit ahead of consumer health, the livelihood of the American farmer, the safety of workers and our own environment. We have bigger-breasted chickens, the perfect pork chop, herbicide-resistant soybean seeds, even tomatoes that won’t go bad, but we also have new strains of E. coli—the harmful bacteria that causes illness for an estimated 73,000 Americans annually. We are riddled with widespread obesity, particularly among children, and an epidemic level of diabetes among adults. The End of the Line, the first major feature documentary film revealing the impact of overfishing on our oceans, In the film we see firsthand the effects of our global love affair with fish as food. It examines the imminent extinction of blue fin tuna, brought on by increasing western demand for sushi; the impact on marine life resulting in huge overpopulation of jellyfish; and the profound implications of a future world with no fish that would bring certain mass starvation. Colin Beavan decides to completely eliminate his personal impact on the environment for the next year. It means eating vegetarian, buying only local food, and turning off the refrigerator. It also means no elevators, no television, no cars, buses, or airplanes, no toxic cleaning products, no electricity, no material consumption, and no garbage. 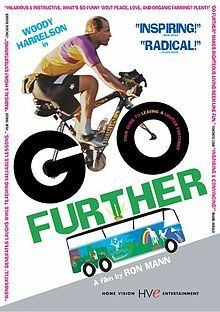 GO FURTHER explores the idea that the single individual is the key to large-scale transformational change. Includes interviews with David Wolfe. From the site: “After travelling the globe interviewing the world’s leaders in Nutrition and Natural Healing we have acquired a mass of footage explaining the finer details of nutrition and treating disease naturally. Understandably there is only so much we can fit into our 80 minute feature film so with the rest we are working on developing online learning programs. Blue Gold:World Water Wars examines environmental and political implications of the planet’s dwindling water supply, and posits that wars in the future will be fought over water. The film also highlights some success stories of water activists around the world, and makes a strong case for community action. From the site: An up-close and personal session with Alissa Cohen! Watch and listen as Alissa prepares over 20 delicious, mouthwatering recipes. Fresh & Alive: Raw Vegetarian Recipes With Ken Rohla. Simply Raw: Reversing Diabetes In 30 Days Dvd. From the site: Simply Raw: Reversing Diabetes in 30 Days is an independent documentary film that chronicles six Americans with diabetes who switch to a diet consisting entirely of vegan, organic, uncooked food in order to reverse disease without pharmaceutical medication. The six are challenged to give up meat, dairy, sugar, alcohol, nicotine, caffeine, soda, junk food, fast food, processed food, packaged food, and even cooked food for 30 days. Living Light offers the Vibrant Living Expo DVD series from a list of popular raw food experts giving lectures or culinary instructions, chef training, and more. RAISING CHILDREN RAISES US is a dvd documentary about one high-raw, unschooling family by Shannon Leone. Raw Food Made Easy Dvd. From the site: “Raw Food Made Easy” Starring: Jennifer Cornbleet A great companion item to the best-selling book, “Raw Food Made Easy for 1 or 2 People”, this informative and entertaining DVD expands on the recipes and tips found in Raw Food Made Easy for 1 or 2 People. Raw For Life: The Encyclopedia Of The Raw Food Lifestyle (2-dvds). “Raw For Life” is the Ultimate Encyclopedia of the Raw Food Lifestyle and perfect for beginners and Raw Food enthusiasts. This two-disc DVD set inspires people with the Raw Food philosophy, the wisdom of eating a raw food diet, important medical facts and nutritional information. Raw Nirvana – Set Of 6 Dvd. From the site: After nearly a year spent in production bringing the series to perfection, Sedona Media Company is happy to present the ultimate Raw Food DVD collection â€” Raw Nirvana. This cutting edge 6-disc series was filmed using five high-definition cameras in beautiful Sedona, Arizona. Raw Nirvana is now available online for one low introductory price! Watch and learn your way to making the world’s healthiest meals within your own kitchen, without cooking! Reversing The Irreversible: 37 Testimonials Of People Who Improved Their Health Naturally Dvd. A documentary by Valya Boutenko. In this eye-opening documentary, peole present their amazing transformations to health from the following conditions: Acid Reflux, Allergies, Anemia, Arthritis, Asthma, Cancer, Diabetes, Eczema, Fibromyalgia, Heart Disease, Hormone Imbalances, Injuries, ITP, Moles/Warts, MS, Osteoporosis, Psoriasis, Rheumatoid Arthritis, Seizures, Sinus Problems, Weak Bones, Obesity. 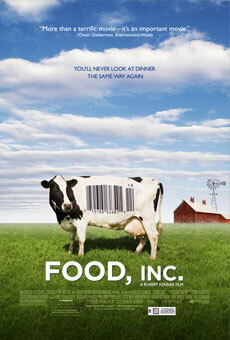 This documentary won a Green Apple Award from the 2008 Raw Lifestyle Film Festival in Hollywood. Shazzie’s Raw Food Delights Dvd Series. One of the UK’s raw food leading ladies, Shazzie, offers this collection of 21 raw food step-by-step recipes. Three DVDs, approx. 240 minutes in total. From the site: Ever wonder what the opposite of the film “Super Size Me” would be like? With a tip of the headdress to Morgan Spurlock of “Super Size Me,” Jenna Norwood takes us on her journey to see what happens when she enrolls in a raw food detox center and consumes only organic, raw, enzyme-rich foods for 30 days. It’s all in an effort to fit into a Las Vegas showgirl costume for Halloween, but the experience has some surprising results.